Serving the area since 2008, ShirtsNSkirts is Scotch Plains’ #1 pickup and delivery dry cleaning service. We cover every street in Scotch Plains from Route 22 to Spruce Mill …and everything in between. We have customers on Jacobs, Buttonwood, Ditzel Farm, Raritan, Terrill, Lenape, Homestead, Church, Balmoral, and Highlander. That’s just naming a few. You probably have seen our red bags at your neighbors houses. In fact, on most streets like Dogwood Drive, Algonquin, Redwood and Rambling, we have multiple customers. Scotch Plains is a 2nd home to us and it would be our pleasure to start picking up your clothes. We service over 150 customers in Scotch Plains currently. It’s about time you try out this amazing service! Stop wasting time going back and forth to the cleaners each week. Use the dry cleaning service that your neighbors in Scotch Plains have been using for years! Have our seen our delivery vans? You probably have. We are in and out of every street in Scotch Plains. Every Monday and Every Thursday. In fact, over 150 homes in Scotch Plains are using ShirtsNSkirts for their family’s dry cleaning needs. Why go and back forth to the dry cleaners when we will come to you! We are already passing by your home. We service Scotch Plains on Mondays and Thursdays. We can also provide emergency service as well. 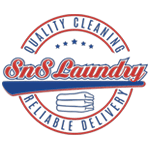 Our dry cleaning vans are already passing by your home. The service is as easy as leaving out your personalized Red bag on a Monday or Thursday. Put out the bag and magically the clothes will appear in 3 days. If you see us, say hi, we are very friendly. We love our Scotch Plains customers! YOU GUYS ROCK! BEEN USING DRY CLEANING FOR 4 YEARS NOW! PERFECT EVERY TIME! Over on Redwood Road, John says "Service is fantastic, clothes always look great" ...and Elizabeth, who lives on Montague in Scotch Plains who left her former dry cleaner 2 years ago told us "ShirtsNSkirts, is unlike any other service, they send email reminders to put out the RED dry cleaning bag. I used to leave my favorite clothes at the dry cleaners for weeks, now they are always READY TO GO!" According to her "It's a life saver!" If you are looking for the best dry cleaning service in Scotch Plains, look no further than your front door. ShirtsNSkirts has been providing the Scotch Plains area with affordable, dependable, high quality dry cleaning for over 15 years... guaranteed! Contact us by phone at 908-264-5050 or email and enjoy the convenience of our mobile dry cleaning service today. Serving the Scotch Plains area for over 15 years. Popular Scotch Plains locations using our mobile dry cleaning service.